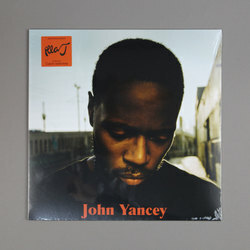 Illa J - John Yancey. Vinyl LP. Bleep. The fourth LP from LP from Illa J - and second he’s dropped via JAKARTA Records (L’Orange, Mura Masa) - finds the one born John Yancey spreading his wings. If Illa J’s previous full-length, 2017’s Home, embodied the hard-knock truths of his native Detroit, then John Yancey sees the MC keeping on the sunny side and celebrating his time in California. Not only does Yancey incorporate more singing into the tunes here, he also brings a new positive outlook out to bat. Cuts like ‘Rose Gold’ and ‘Shine On’ have that breezy vibe of the best Sunshine State rap.